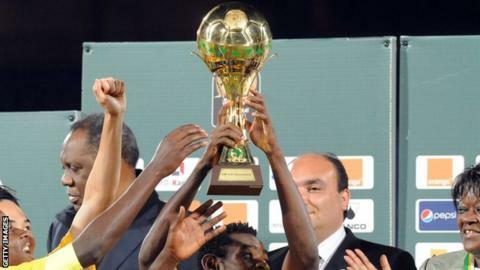 Nigeria's hopes of progressing to the semi-finals of the Under-23 Africa Cup of Nations, the Olympic qualifying tournament, were dented by Egypt as the two sides drew 2-2 in their Group B match in M'Bour. Nigeria went into the second match of their group knowing a win would be enough to go through to the last four. At half-time they were on target for the victory, leading 2-0 thanks to two penalties from Etebo Oghenekaro who scored from the spot in the 20th minute and then again ten minutes later. But Egypt came out fighting after the break, scoring twice in five minutes to level proceedings. Ramadan Sobhi Ahmed started the comeback with a goal in the 46th minute to make it 2-1. Egypt then levelled the match thanks to a Mamdouh El Sayed strike in the 51st minute to keep their hopes of progressing alive ahead of the final round of Group B fixtures. Earlier, Algeria boosted their hopes of qualifying for next year's Olympics with a 2-0 win over Mali in Wednesday's first Group B match. Mali were the better side for long periods, but the loss means they cannot now advance to the semi-finals. The deadlock was broken in the 73rd minute when Algerian substitutes Oussama Darfalou and Bentahar Meziane set up a tap-in for Zinedine Ferhat. A deflected shot from Zakaria Draoui sealed the win 10 minutes later. Algeria move onto four points, ahead of their final group match against Nigeria on Saturday, while Mali are still to register a point. Egypt's final match in the group is on Saturday against Mali. The top three from the tournament will claim places at the men's football tournament at the 2016 Olympic Games in Rio.